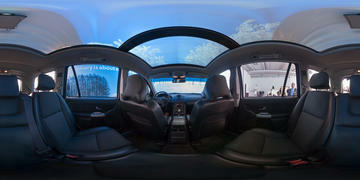 Scroll to the right for more panoramas. 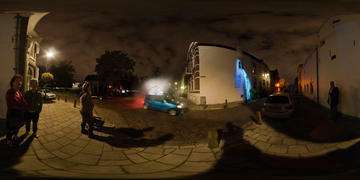 Click an image for an interactive version. 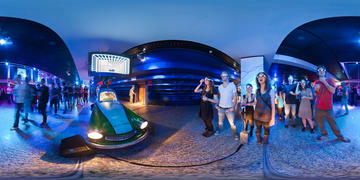 By interactively manipulating the perspective in a 360 x 180 degree panoramic image, you can get a sense of "being there". All of the images above can be explored interactively. Click in the middle of the image and hold down the mouse button. Then drag the mouse gently in the direction you want to turn the camera to. If you want to stop moving the camera, release the mouse button. My name is Aldo Hoeben. 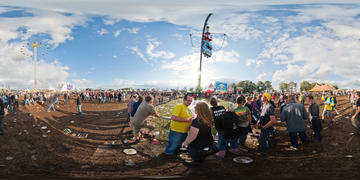 The fieldOfView.com website showcases my work. 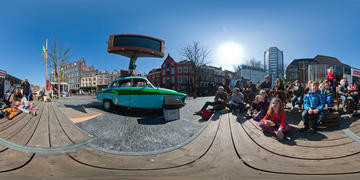 I am trained as an industrial designer, but I work as a panoramic photographer, projection artist and media designer. If you want to get in touch with me, please find my contact details listed in the footer below, or you can use the contact form. If you want to know what I am working on, follow me on Twitter. If you only want the visuals, see Instagram instead. The opensource projects I started and participate in are hosted on Github. I post videos from this website on Vimeo. 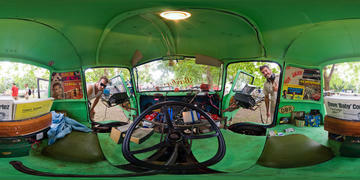 Some of my 360x180 degree panoramas find their way to Flickr. I kept an irregularly updated personal blog at hoeben.net. I will eventually add a number of feeds here, as well as a tiny form to subscribe to an infrequent, dutch newsletter.